Also known as Siamese fighting fish, Betta fish are popular pets for aquariums. Easy to care for and absolutely gorgeous in their coloration and fin styles, Betta fish can live for several years in captivity. 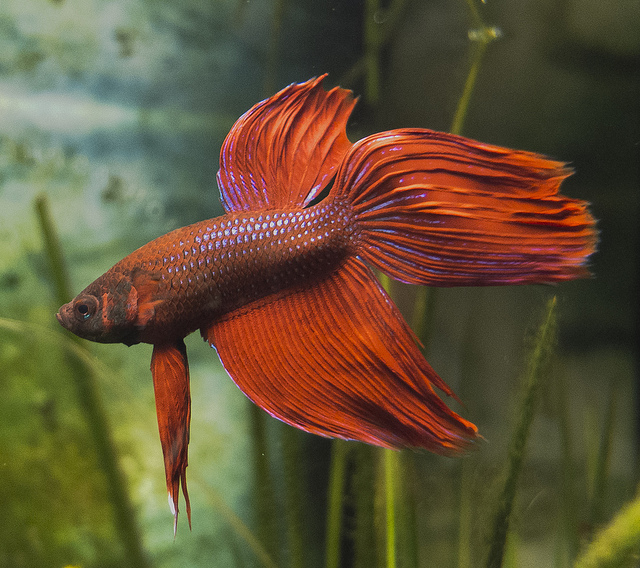 Most live for around two years, but when the ideal environment and proper care are provided, Betta fish can surpass that goal by several years. Consider these tips and advice for information on how to keep your Betta fish alive for many years in your aquarium. How Long Do Betta Fish Live In The Wild? How Long Will My Betta Fish Live In An Aquarium? In the wild, Bettas occupy shallow freshwater areas such as ponds, rice paddies, canals, and streams. Native to southeastern Asia and found in countries such as Thailand, Cambodia, Singapore, Malaysia, and Brazil, Bettas have been introduced to several countries around the world. Bettas are expected to live much longer in captivity than they are in the wild. The waters in which they live are not highly regulated and are, instead, frequently polluted. This can damage vital food sources and plants and reduce the lifespan of the fish. Furthermore, in the wild, Betta fish are exposed to other males more often, leading to territorial acts of aggression. These acts of aggression make it much more likely that the Betta fish will die early on. Sadly, Betta fish are listed on the vulnerable category on the IUCN Red List of Threatened Species because they are chronically exposed to pollution and habitat loss. Betta habitat is being reduced at an alarming rate, exposed to expansions in farming and development in Thailand. In the wild, Betta fish live mostly in rice paddies. As a result, many people believe that they can be kept in close quarters in captivity, too. However, in the wild, Bettas exhibit unique behaviors. Rice paddies are usually contained within much larger bodies of water. During the dry season, most of the water evaporates and Betta fish become trapped in shallow puddles. As a result, Betta fish have a unique biological adaptation that allows them to survive until the rains reappear. They have a complex organ known as a labyrinth. This labyrinth allows Bettas to breathe small amounts of atmospheric oxygen. They can get just enough oxygen when confined to small bodies of water to allow them to live, but it’s not something that they can do n the long term. They will only exhibit this behavior temporarily as they hop from puddle to puddle in a search for a larger body of water. When cared for properly and given a large tank w in which to live, most Bettas can live for around three years. 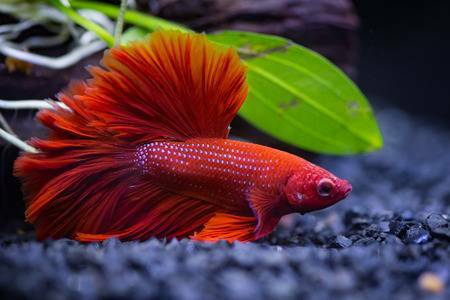 This is an average, of course, and you have to keep in mind the age of your Betta when you purchased it. Male Betta fish sold in pet stores are usually sold at around a year old. This is only an average, of course, and largely varies depending on the age of your Betta fish when you purchased it. Individuals sold in pet stores are usually sold when they are between six months and a year in age. Females are usually sold younger, and while they tend to live a few months longer than males, they are usually not kept over males, since they aren’t as vibrantly colored. Because your fish will already be at least six months old when you buy it, you can only expect it to live for around two or two and a half years. That being said, it is not unheard of for Betta fish to live until they are four or five years old if they are kept in superb conditions. Some unverified reports have claimed instances of Betta fish living to around ten years old ni laboratory conditions. While you can’t do much to keep your Betta fish alive forever, there are simple steps you can take to maximize their lifespans. 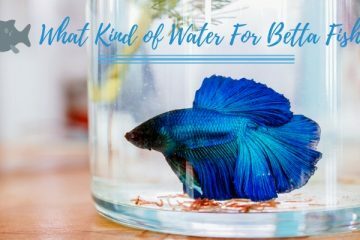 These tips can help keep your Betta fish living life to the fullest, and potentially expand the length of its life. 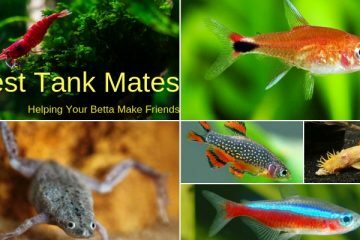 Purchase your Betta from a reputable pet store, and keep in mind that just because a Betta fish comes at an inexpensive price, it doesn’t mean that it will be a high-quality fish. Instead, purchase a fish that is healthy and does not have any of the following “warning” signs – indicators of poor health. These fish are more likely to be stressed and will likely not live very long once you introduce them to your new aquarium habitat. 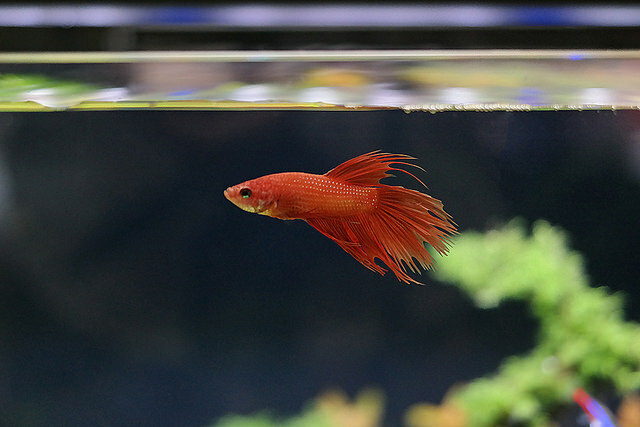 Betta fish that are pale in color or exhibit ripped or torn fins have been exposed to too much fighting, poor water quality, or inadequate water parameters of some sort. The same goes for individuals with bulging eyes or any kinds of injuries or scratches on their bodies. This indicates injury or disease, the latter of which can easily be spread to other fish in your tank. 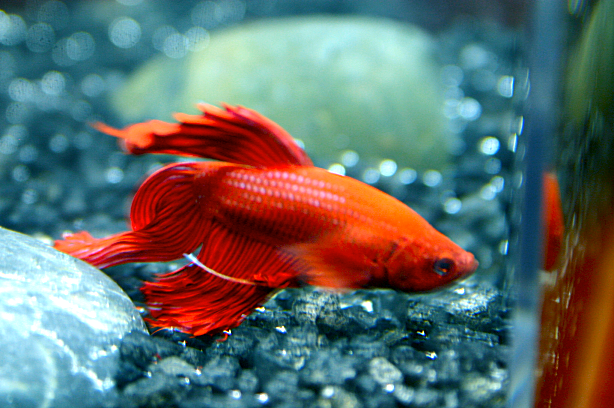 Instead, look for Bettas that are bright and vibrantly colored, have intact fins, and are vivacious swimmers. Your Betta fish should respond in some way when you place your hand in the tank, and will not be at all lethargic. You also should look for a Betta fish with clear eyes, as this indicated good health. 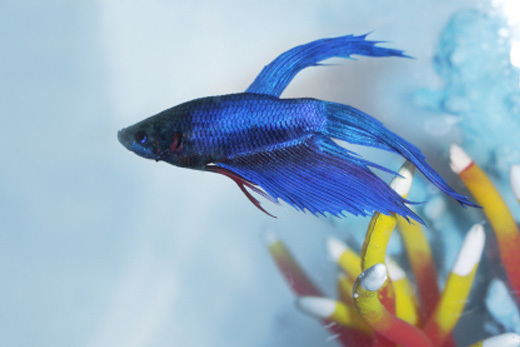 Since the Betta fish you purchase at a pet store will be an adult, it should also be full sized and not be experiencing any kind of stunted growth. It has also been suggested that betas that are blue in color can live longer. The reason behind this is that blue Bettas have been fed compounds that boost the Betta’s ability to fight disease. Blue Bettas have a stronger immune system and are also more attractive to females, suggesting an evolutionary advantage. You also need to avoid purchasing a Betta fish that is too young. You might not know the exact age of the Betta fish you are considering, but a good, reputable breeder will be able to give you this information. If you buy a fish early on in its life, it can be shocked when you place it in your aquarium. That being said, you also need to avoid purchasing a fish that is too old, as this will reduce the likelihood that you will have your fish for a long time. When purchasing your fish from a pet store, examine the other fish with which it is housed (if it housed with other fish). Even if the fish you are considering seems healthy, if it is housed with other fish that appear unwell, there is a good chance that it could have been exposed to a disease – putting it at risk of becoming ill in the future. The life expectancy of your male Betta fish will rapidly decrease if you keep it in the presence of other males. 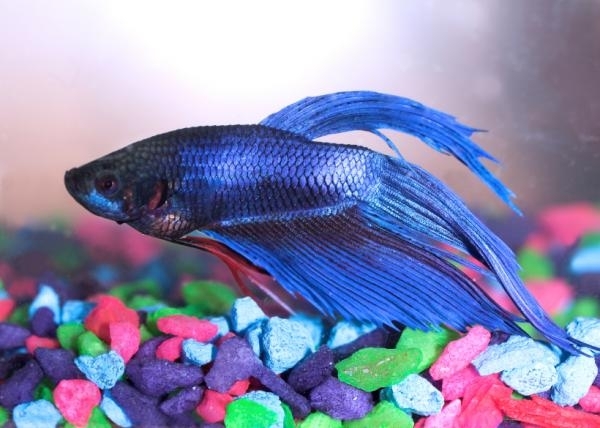 Before and during the 19th century, Betta fish were bred to create aggressive behaviors, which is why Bettas are now known by the nickname of Siamese fighting fish. They were used as a form of entertainment, battling it out to the death in tanks in a manner not unlike cockfighting. While this practice has pretty much gone by the wayside (except for in some places where it has not been outlawed, like Thailand), Bettas are still aggressive and territorial, particularly when males are pinned against males. These behaviors are common in the wild, where males will fight for space for a few minutes before the other backs down. Unfortunately, in a small tank, the fish will fight to the death because they do not have the luxury of escaping anywhere for extra space. Females are not nearly as aggressive and can be kept together, as long as they have plenty of space. However, males should be kept separate at all costs. Keep them by themselves in a tank, or you can sometimes get away with housing them with fish like Rasboras. Bettas and Rasboras naturally coexist in the wild, so they are safe alternatives if you want to keep more than one species of fish inside a tank. You can also incorporate neon tetras, snails, loaches, or even bristlenose plecos. Betta fish need to be kept in tanks that are at least five gallons. At the pet store, you will often see Betta fish sold in small cups or one-gallon tanks. Males are often kept separately and in small tanks as they are more likely to fight. However, under no circumstances should you keep your Betta in this small of a tank at home. In captivity, five gallons is the absolute minimum. If you are keeping a female Betta as part of a community of other fish, you should invest in an even larger tank. 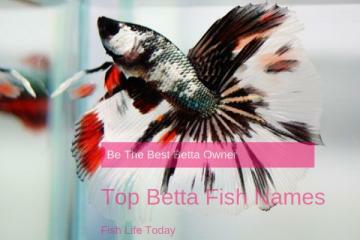 You also need to keep Betta fish in waters that are of the absolutely highest quality. Many people keep their Betta fish in bowls, but this is not a great idea. 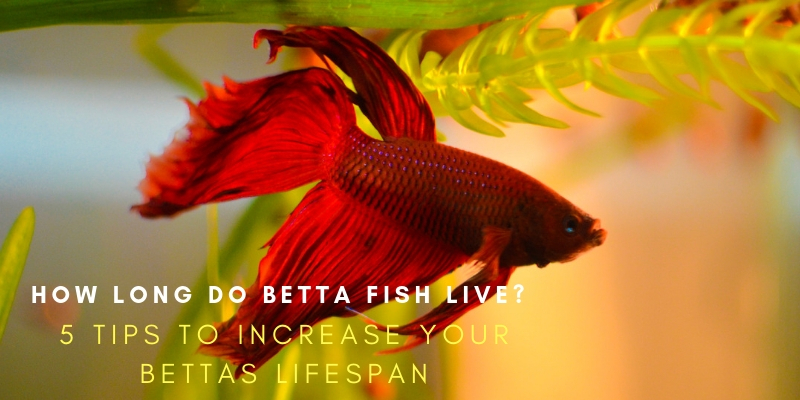 It can reduce their life expectancy significantly, with Betta fish kept in bowls living less than a year. Just because Betta fish live in rice paddies in the wild, that does not mean they can tolerate dirty or unheated water in captivity. In fact, one of the leading causes of the decline in the Betta fish population in the wild is that they are being exposed to waters that are overly polluted. The waters of Thailand, to which they are native, are naturally heated due to the tropical climate. As a result, you absolutely must use a heater in your tank. Bettas are accustomed to temperatures between 75 and 80 degrees Fahrenheit – make sure you keep your tank at this temperature, too, to ensure adequate health. Usually, a 25 watt heater is enough to keep the tank adequately warm. If you absolutely have to keep your Betta in a small tank, do not use a heater. A tank heater in a small tank can lead to water temperatures that are too high, which is dangerous for Bettas. They will become aggressive and can eventually die from too much heat. Instead, simply keep the tank in a warm area of your home. Use a filter, as Betta fish will thrive in waters that are clean and sanitary. Filters will help remove toxins and debris from the water. Ammonia and nitrites become toxic to Bettas when they are present in large volumes, so filtering the water and keeping it aerated will help your Betta fish thrive. Conduct regular water changes too, to prevent the accumulation of harmful toxins. 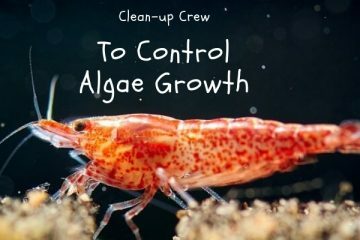 Ideally, you should be cleaning your tank once every week, removing ten to fifteen percent of your water and replacing it with fresh conditioned water. One of the easiest and inexpensive ways to keep your Betta fish living a long, healthy life is to improve its diet. Betta fish who are fed a good diet will appear to be healthier in terms of their growth rate, coloration, swimming patterns and behavior, and, of course, overall lifespan. In the wild, Betta fish are carnivores and will eat any kind of insect. While it can be challenging to provide a steady, high-quality variety of insects inside a fish tank – particularly because live folds are tough to get ahold of – there are plenty of alternatives for foods. Generic tropical fish foods often won’t cut it for a Betta fish. They will often refuse these kinds of foods, so you need to choose a food that is specially made for Betta fish. Make sure you feed your Betta fish a diet that is high in protein and fat. You can choose pellets, flake foods, or frozen foods, but make sure you use one that is specially formulated for Bettas. Protein should be the first ingredient listed on the ingredients list of the food you choose, as this will provide high nutritional value. 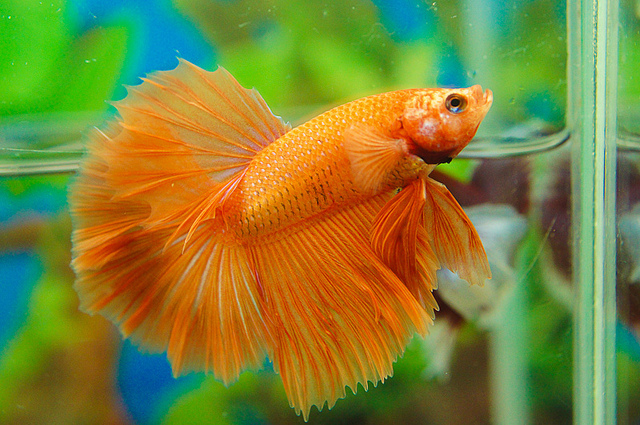 Too many filler foods or processed ingredients will upset the fragile digestive system of the Betta. If you can’t find a food that is free from fillers or other artificial materials, you can make your own high-protein fish food. Use ingredients like brine shrimp and bloodworms for best results. Feed your Betta only what it can eat within two minutes, and feed it twice a day. Overfeeding is a definite possibility, and can lead to bloating. Bloating can damage your fish’s swim bladder, making it impossible for your fish to get around on its own. Unfortunately, it can also often lead to an early death. Instead, feed just a few pellets once or twice a day. If you are worried about overfeeding, you can also choose to not feed your Betta fish one day a week. This will avoid any risk of bloating or constipation. While Betta fish thrive in any kind of decorated tank, which will give them plenty of spaces to duck and hide, plants are one of the best kinds of decoration for Betta fish. Use live plants, as they can also help extend the lifespan of a Betta fish. Betta fish will not eat live plants, as they are carnivores, but the plants provide another unexpected benefit. Using live plants improves and increases the oxygen levels in your tank, allowing your Betta fish to live in an environment which is more like their natural habitat. You are more likely to see their natural behaviors come out on display, and they’ll have plenty of places to hide. 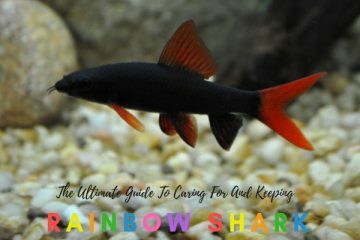 This is particularly important if you are raising multiple females in the same tank. While there aren’t really any restrictions on the kinds of plants you can grow in your Betta fish tank, some of the best include Java moss, Java fern, and anacharis. Java moss grows a thick, carpeted blanket, allowing you to achieve a cool appearance in your tank. It’s easy to take care of and softens the overall look of your tank. Java ferns are another good option, particularly in small tanks. These plants only grow to around eight inches in height, so they won’t swamp your tank. Anacharis grows well in a variety of tank conditions, too, and is exceptionally hard to kill. On average, most Betta fish will live for two to three years. 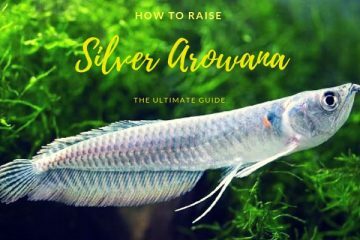 By purchasing a healthy, vibrant fish from a reputable pet shop and by providing it with the best possible life, you will be rewarded with a fish that lives for several years. 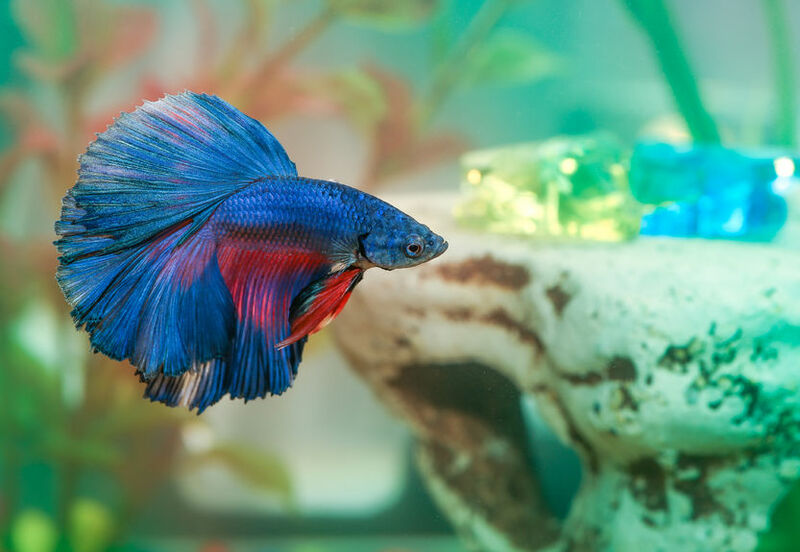 Healthy Bettas are active and responsive, and will provide you with months on end of fun experiences – but only if you do your job by providing it with ideal conditions.